Why wait for things to heat up? Put some ICE in your organizational culture today. Regardless of your industry or purpose, your organization has a culture. Without thoughtful consideration, an organization’s culture can be out of balance. People Factor works with clients to turn their accidental culture into one that is intentional, truly engaging, and producing desired results. 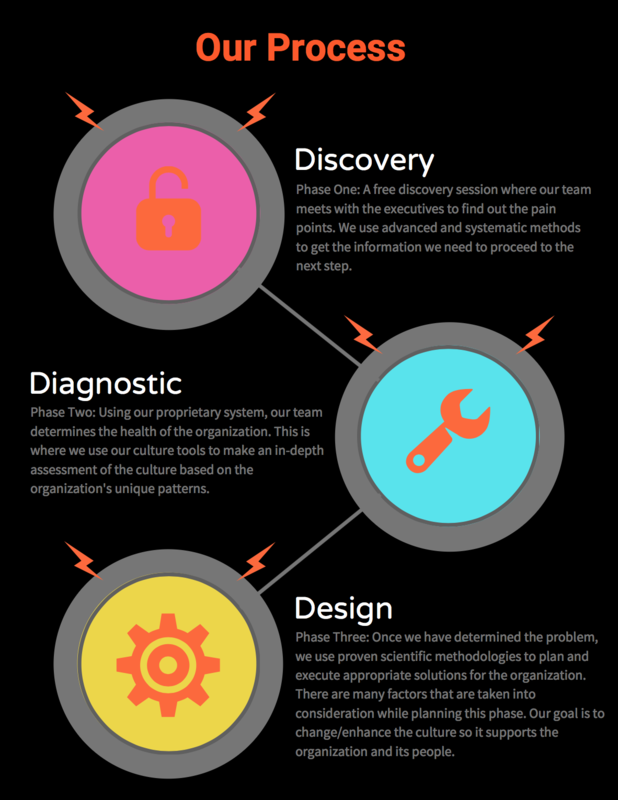 Through our proprietary ICE System, your company will not only know the state of your current culture but will also learn strategies for building and sustaining an intentional culture. To kick off the process, our team of experts will conduct a discovery session with your executive team. This invaluable information is then plugged into our ICE System to start the culture diagnostic. This information is used to establish a baseline to determine the current state of your organizational culture and measure gaps. Our ICE System is designed to enable creation and implementation of the right solutions to tackle the unique culture problem at hand. The system is collaborative and encourages full participation. Whether your company is experiencing small problems or major obstacles, People Factor will partner with you in implementing solutions and getting results.